Jubjub. 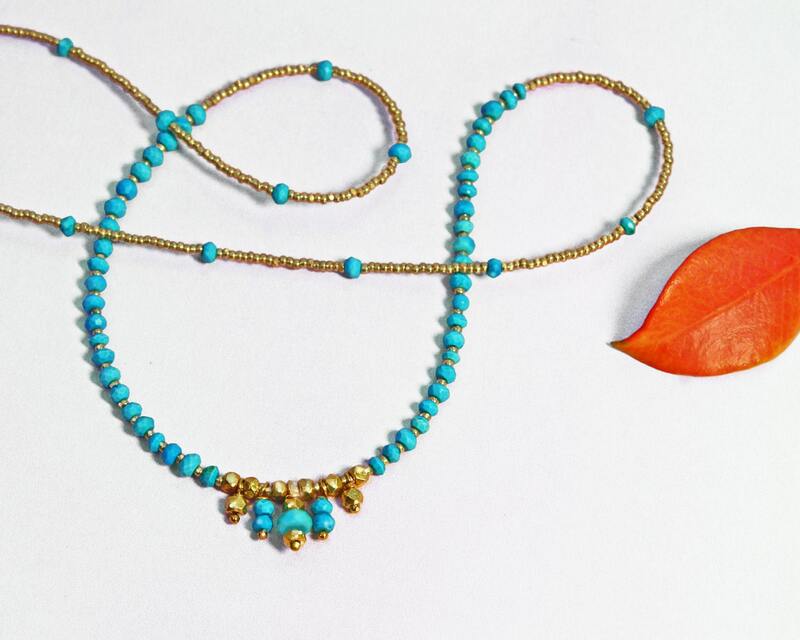 Turquoise and Gold Necklace. Delicate and Exotic Beaded Necklace. Turquoise Jewelry. 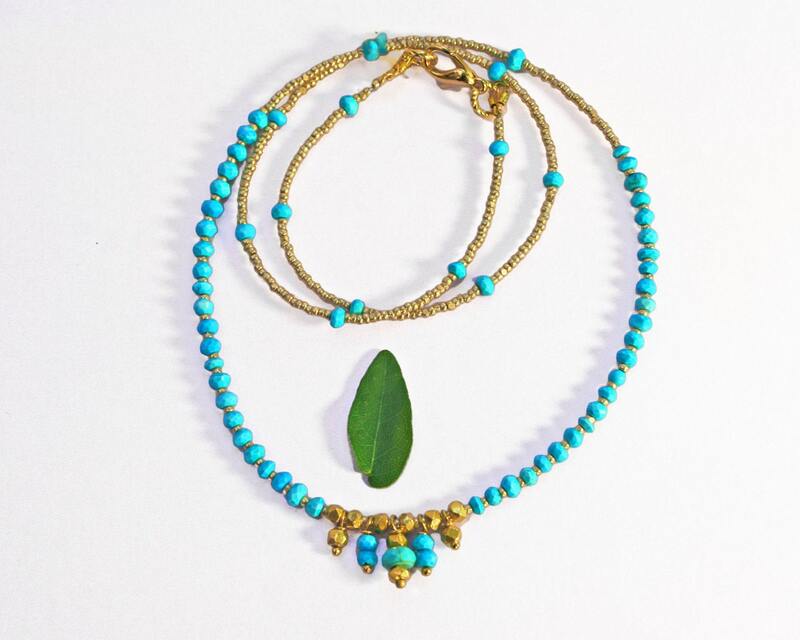 Tiny turquoise beads, 24k Gold plated charlotte seed beads, and Thai Vermeil faceted nuggets, put them together and you have the perfect necklace to dress up, dress down or layer. Also available in Silver with Turquoise.